Do you get much personal post? If you’re like me you probably don’t even get bank statements and bills coming through your letterbox, instead they arrive in your inbox. Even the humble birthday card is increasingly being digitalised, and as for Christmas cards I culled my Christmas card list when I saw the price of a 2nd class stamp last year! But the postman still visits our house regularly and often the doormat is covered in mail: junk mail. Much of this makes a quick trip from the doormat to our recycling bin, but amongst these flyers, postcards and generic envelopes occasionally something stands out. The successful direct mail campaign. For me the biggest difference between junk mail and something that makes me open it and read it is personalisation and relevance. While I’m unlikely to receive a handwritten letter from an old friend (I already know what they’re up to from Facebook), or a surprise present from my brother (he’ll just send me an iTunes voucher by email), a personalised envelope gets my attention. Some of the best examples of this come from our major supermarkets. They’re able to personalise their communications effectively because of the amount of data they collect on their customers. Take for example Sainsbury’s Live Well For Less direct mail. Although it goes out to a few hundred thousand customers every quarter, every single mailing is unique to that customer. Using the information they can glean from loyalty cards and buying habits, and millions of unique combinations, this makes for an extremely effective and highly targeted campaign. Tip #1 for small local businesses: Find methods to collate relevant data that allows you to personalise your direct mail. As well as personalisation, relevance is also vital. 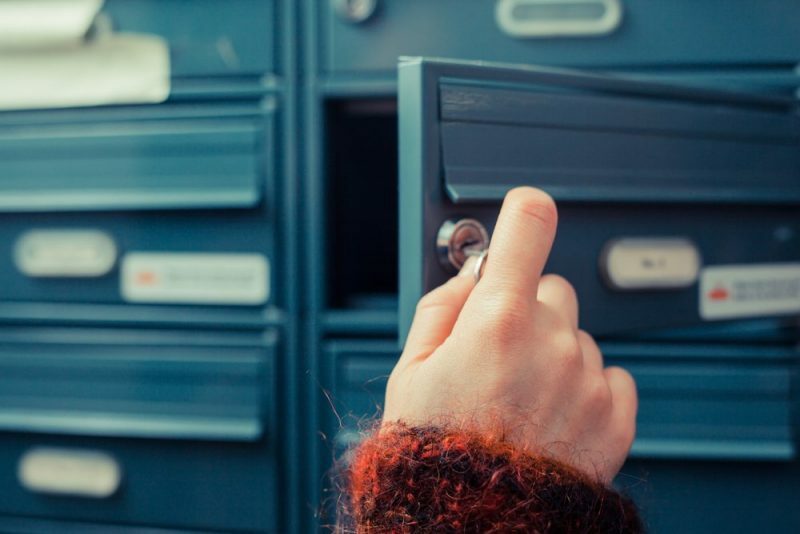 We’ve all received direct mail that uses our name and address (rather than ‘To the occupier’), but then loses our attention because the contents are generic. If you’re going to avoid the recycling bin your direct mail must immediately tell the recipient that it’s relevant to them personally. Tip #2 for small local businesses: Use different campaigns for different target customers – one size does not fit all. In my experience, working with companies that don’t quite have the marketing budget of a major supermarket, the most effective mailshots involve a premium, bespoke and handpicked campaign. A mass mailshot to everyone in your area, whether that’s residential addresses or businesses, cannot hope to achieve the personalisation and relevance needed to be effective on a small budget. But a bespoke and carefully targeted campaign, perhaps to only 200 carefully chosen recipients, will stand out from the crowd and get your business noticed. Tip #3 for small local businesses: Use your direct mail budget wisely, generally we see a better ROI with a small premium campaign than a low budget mass mailout. Consider a premium campaign for a select few of highly desirable recipients. If you would like to discuss your next direct mail campaign with me, and weigh up the various options you have, please get in touch. Email me on jamie@hypedmarketing.co.uk or leave a comment below.